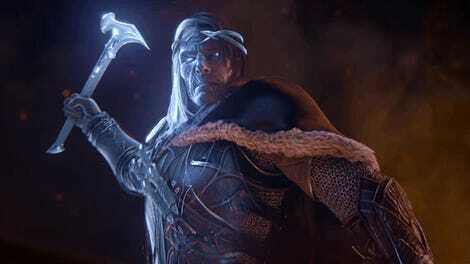 Middle-Earth: Shadow of War, the newly unveiled video gaming sequel to Shadow of Mordor looks like it’s ramping up things up in every possible way. The last game already played fast and loose with Lord of the Rings lore, but now you’re a human leading armies of orcs into an invasion of Mordor. With your own ring of power. Also, there may be dragons? 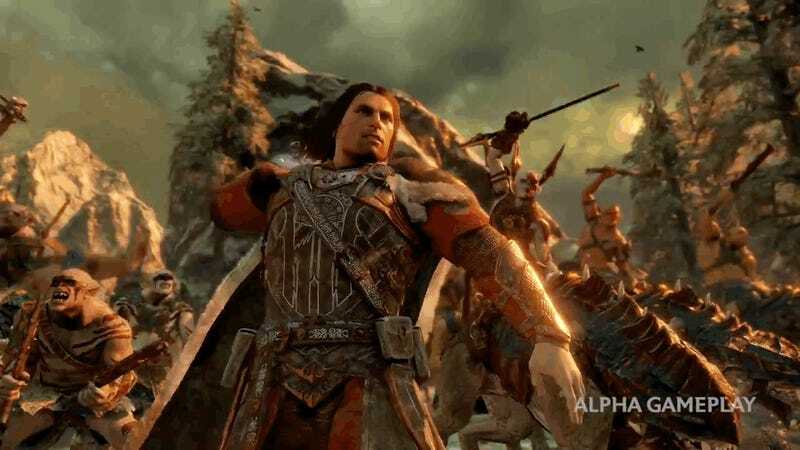 Talion the resurrected human ranger, imbued with the spirit of Celebrimbor—yes, that Celebrimbor from the novels, the elf who helped Sauron forge the One Ring (not so “one” now, though)—is back, and the first gameplay from the new game shows things are going to get as crazy as its gloriously fan-fictiony premise. The upcoming sequel to Shadow of Mordor seems to sport an exponential multiplication of its predecessor’s Nemesis System, which made it so non-player characters would engage in unique storylines with you. A 16-minute demo video shows how you’ll be conquering fortresses to take over territories and how the troops you command will change things up dynamically. There’s a strong tabletop vibe from what’s on view here, making it seem like strategy will matter a lot more in this title. Middle-Earth: Shadow of War is out on August 22 for PlayStation 4 systems, Xbox One, and Windows 10.